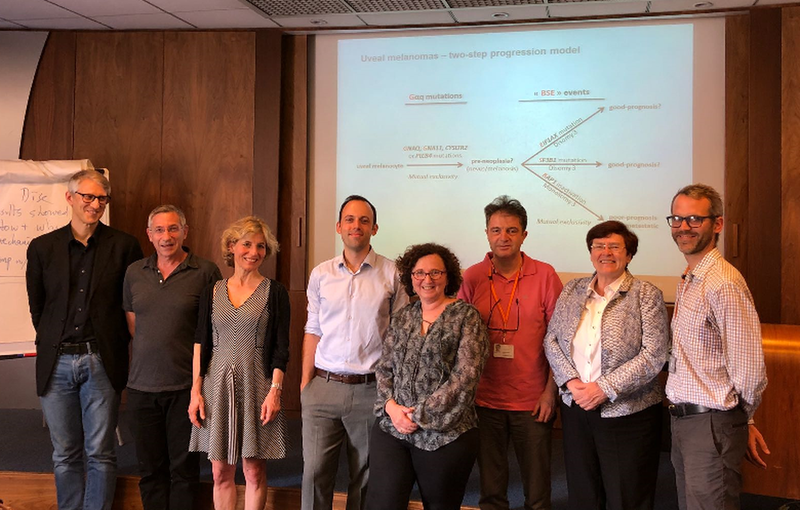 We are very honoured to congratulate Dr. Manuel Rodrigues, member of the UM CURE 2020 Consortium, for defending his PhD entitled “Génétique des mélanomes oculaires”! The event took place at Institut Curie, Paris, with a strong representation of the UM CURE 2020 team in the audience. In the words of Albert Camus, as quoted by Manuel in his PhD: “Il vient toujours un moment où l’on a trop vu un paysage, de même qu’il faut longtemps avant qu’on l’ait assez vu”, underlying the importance of perseverance in the fight against cancer. We are confident that the work being conducted at Institut Curie by Dr. Manuel Rodrigues will continue to be of benefit to UM patients. In a brief video, Dr. Rodrigues explains his view on the role of genetics and biological causes of UM.